What if my camper wants to do more than one session this summer? This is a very common question every year. Many of our returning campers had so much fun last year that they want to spend more than one week the next summer. Also, we have students travel long distances to get to us, many coming as far away as Europe. They typically want to stay longer than one session. And some of our clients don’t want to go home at the end of their session and stay on another week (that is if we have room?). But answering the above question. YES you can do more than one session of surf camp. You can stay all summer. 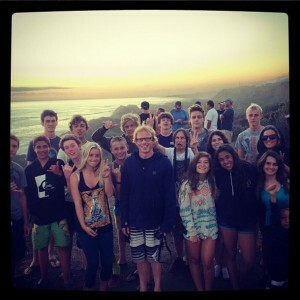 Surfers staying multiple sessions need to bring spending money for outside of camp activities for weekends. There is also a $150 Supervision fee for surfers staying between sessions. There is a break for our staff between sessions however the Campers staying weekends between sessions are fully supervised. They will have time to go to town on field trips, go to the movies, bowling, do laundry, shop, visit other beaches and enjoy the sites and sounds of San Clemente, surf capitol of Southern California. Campers just need to bring some extra spending money for outside of camp activities.